Please Note: Deliveries start at 17:00 but you can start ordering for delivery from 16:40. When you buy any 2 x 10" pizzas get 10" garlic bread FREE. When you buy any 2 x 12" pizzas get 12" garlic bread FREE. Spend £12 & a get a free 10" Margherita pizza. Please use the comments box on the next page to claim this offer. Buy one donner kebab get one free. Please mention in the comments box on the next page to claim this offer. Buy one get one FREE pizza, any pizza any size. Please claim your free pizza in the comments box. To add extra Mexicana Cheese or Red Hot Dutch Cheese to your burgers simply click 'Select Extras' in your cart. Fresh chicken fillet burger. Meal is served with fries & a can of soft drink. Fresh chicken fillet burger with hashbrown. Meal is served with fries & a can of soft drink. Quarter pounder burger - fries - a can of soft drink. To add cheese simply click 'Select Extras' in your cart. 5 oz beef burger served with onions, lettuce & tomato. Meal is served with fries & a can of soft drink. 1 piece of chicken - fries - a can of soft drink. 2 pieces of chicken - fries - a can of soft drink. 2 pieces of chicken - 2 spicy wings - fries - a can of soft drink. 1 piece of chicken - 2 spicy wings - a lamb rib - fries - a can of soft drink. 3 pieces of lamb spare ribs - fries - a can of soft drink. 3 pieces of chicken - fries - a can of soft drink. 6 chicken dippers. Meal is served with fries & a can of soft drink. 6 chicken nuggets - fries - a can of soft drink. Meal is served with fries & a can of soft drink. 6 spicy wings - fries - a can of soft drink. 6 pieces of chicken - 3 portions of fries. 6 pieces of chicken - 4 spicy wings - 3 portions of fries. 6 or 10 pieces of chicken - 6 spicy wings - 3 pieces of ribs - 3 portions of fries - 2 tubs of coleslaw - a 1.5L bottle of soft drink. 2 x 10" pizzas with 3 toppings - 2 portions of chips - mozzarella sticks - a 1.5L bottle of Pepsi. 2 x 12" pizzas with 4 toppings - 2 portions of chips - mozzarella sticks - a 1.5L bottle of Pepsi. 12" pizza with 3 toppings - 2 pieces of chicken - 6 wings - 2 portions of chips - mozzarella sticks - a 1.5L bottle of Pepsi. All our pizzas are mozzarella cheese & tomato sauce. Red onions, mushrooms, mixed green peppers, sweetcorn & olives. Mixed peppers, red onions, mushrooms, sweetcorn, olives & jalapenos. Pepperoni, mushrooms, olives & smoked ham. Four cheese pizza, mozzarella, mozzarella balls, duch cheddar & feta cheese. BBQ sauce on the top. Tomato base, chicken, mixed peppers, fried onions & BBQ sauce on the top. Chilli base & double pepperoni. Ham, bacon, beef, chicken & pepperoni . Donner meat, red onions & fresh tomato. Pepperoni, sausage, ham, mixed peppers, red onions & mushrooms. Beef, red onions, jalapenos & mixed peppers. Chinese chicken, mushrooms, green peppers & sweetcorn. Tandoori chicken, jalapenos, mushrooms & fresh tomato. Mexican chicken, jalapenos & sweetcorn. Tomato & garlic base, chicken, mushrooms & red onions. cooked on an upright spear. Slices of lamb or chicken, deliciously seasoned & cooked on an upright spear. Slices of chicken, deliciously seasoned and cooked on an upright spear. Cubes of lamb, marinated in vegetable oil, pepper paste & herbs then chargrilled. Minced lamb mixed with oriental herbs & pepper paste. Skewered & cooked on charcoal. Breast of chicken, marinated, rolled & skewered & cooked on charcoal. Lamb shish, kofte & donner. Grilled chicken wings, skewer of chicken, chicken doner, salad & Turkish bread. Lamb shish, kofte, chicken & lamb donner & chicken shish. Grilled chicken wings served with bread & salad. All kebabs are served in pitta bread with salad & any sauce of your choice. All burgers are served with salad & any sauce of your choice. To add extra Red Hot Dutch Cheese or Mexicana Cheese ( cheddar cheese with jalapenos) to your burger simply click 'Select Extras' in your cart. Buttered chicken filets with red hot Dutch cheese. Meal include portion of chips & can of soft drink. 5 oz beef burger served with onions, lettuce & tomato. 3 pieces with chips & salad. Pizza's were lovely and my daughter loves their chicken burgers as made with lovely pieces of chicken. Delivery was in the time specified so happy customer!. The food is always delicious the staff who is taking the order is very friendly and professional also the delivery man he is always very polite and professional the food is cooked to perfection and is lovely ð??? The food me and my girlfriend ordered has made both very ill... my girlfriend thinks she has obtained food poisoning from the chicken she has eaten and my kebab didnâ? ?t tase like it had been cooked also the chips and sauces look they have just been warmed up eg the mayo was very watery and the chips went cold in about 1:30 mins of having the box open this is the first time and last time I ordered from here again..
Made a lovely change. Thank you ð??? It was lovely, however only received two pieces of chicken in my kebab when I have received much more in the past. Great food and service as always gourmet burger was amazing. First time I have had food from here and I was really impressed. Quick delivery too! 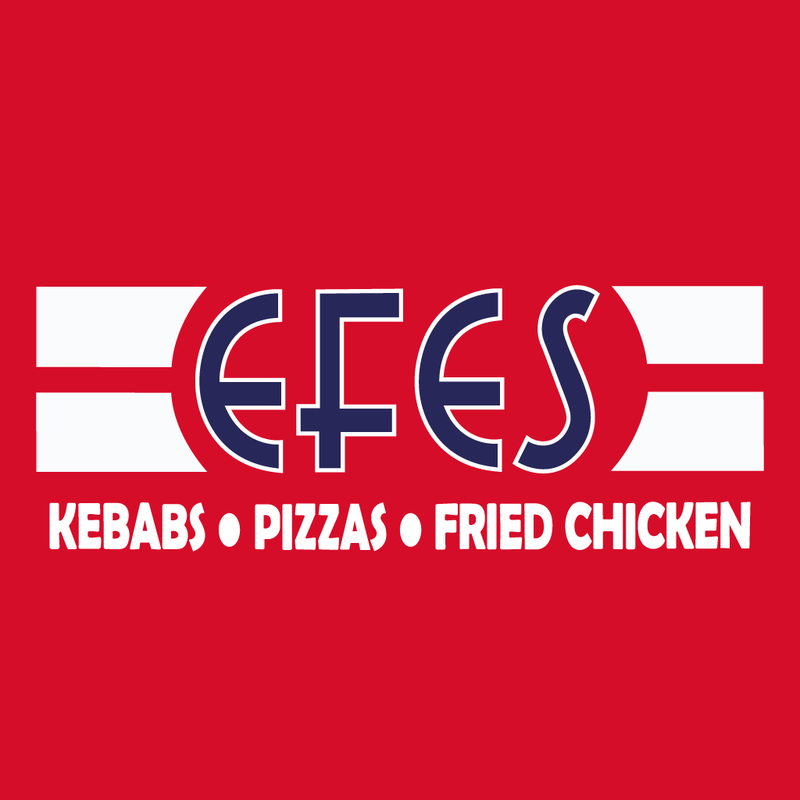 Been going to efes for 4 years and they are just awesome!! Wouldn't go anywhere else!! Best pizzas in Ely. Loads of great stuff on the menu. Salad is always nice and fresh. Friendly staff. My go to takeaway! Perfect ! My wife's pizza cooked to perfection !! Thank you !! Good food delivers when they say No issues ð??? Always very good we order from there a few times a month and never had a bad order yet! Excellent food,service and Delivery. We have used for the last couple of years and would not order from anywhere else. 5 star. You wont be dissapointed. Very easy to use. Speedy delivery. Will definitely use again.